The WalkyGuard is a headrest mounted universal dog guard, made of high quality powdered coated steel. Cleverly designed telescopic bars allow for a very neat fit. Quick and easy to assemble, without needing any tools! 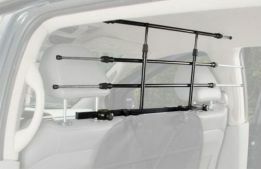 This guard is easily adjustable to fit any car fitted with rear headrests, it can even be used with the parcel shelf still in place. 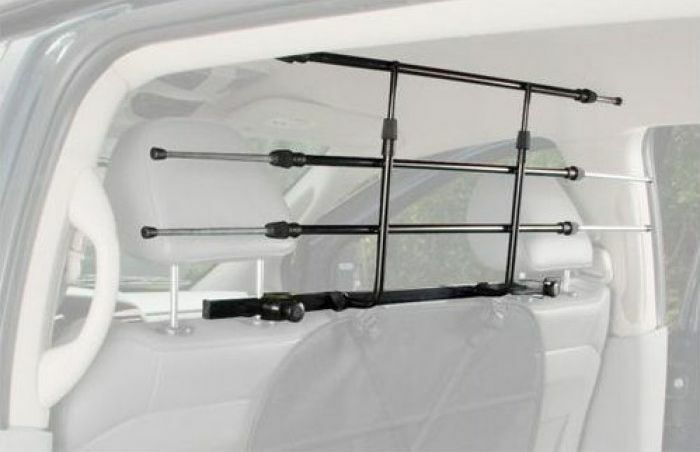 Fast fitting headrest attachments mean it is easily moved from vehicle to vehicle. Made of high quality powdered coated steel. 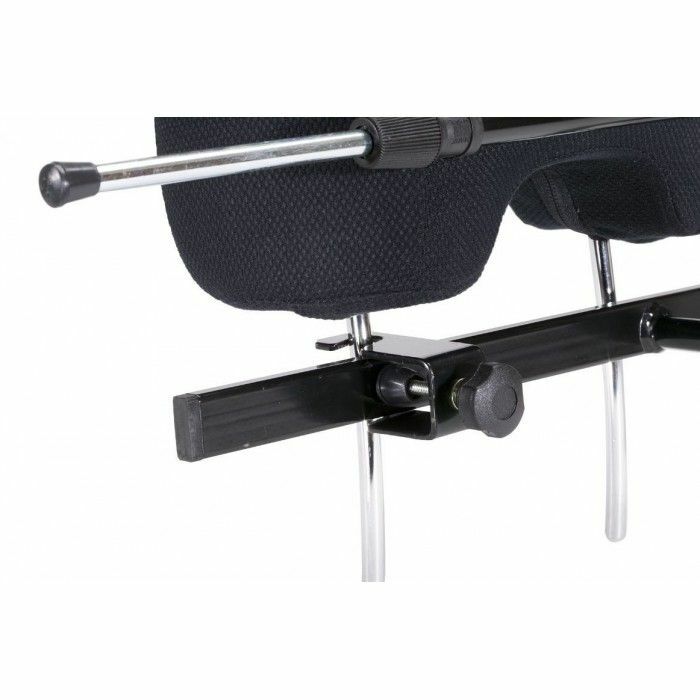 Simple head rest mounting; Using the rectangular guide bar to position the guard on top of the back seat, the guard is quickly secured by tightening the holding brackets around the headrest posts. 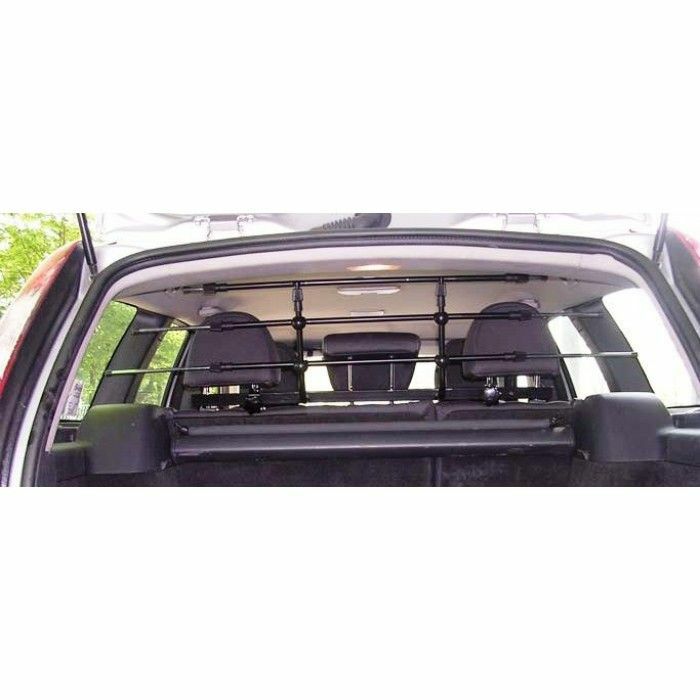 Adjustable vertical bars; height is easily adjusted and the top bar can even be removed which is particularly useful for small cars where head room is an issue. Adjustable horizontal bars; the cleverly designed telescopic bars ensure a perfect fit every time. Removing the guard; easy, just loosen off the tightening knobs and remove from the headrest posts.